Victoria Ranger Nunez from Ranger Good Works, Vice President of Neiman Marcus Fort Lauderdale, Elias Synalovski and Public Relations Manager of Neiman Marcus, Jonie Sabo are thrilled to announce that Neiman Marcus – Heart of Neiman Marcus Foundation has chosen Ranger Good Works to benefit from the 2015 Neiman Marcus Love to Give Collection for the 2nd year in a row! 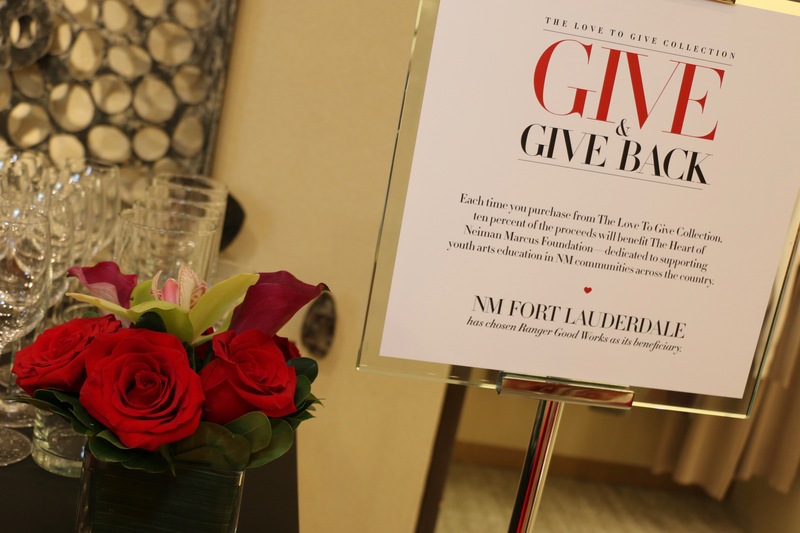 During the months of November and December, 10% of all sales generated from items in the Love to Give collection purchased from the Fort Lauderdale, FL store will support Ranger Good Works’ goal of helping almost 1,000 underprivileged students in Youth Arts Education fundraising initiative. Together we are changing the lives of students by meeting their basic needs, giving them love, and enhancing the educational tools they so desperately need. The results from this fundraiser will last a lifetime. Join us for some shopping in the Fort Lauderdale Neiman Marcus Store, November 5th through December 25, 2015 to support a great cause! See the Love To Give Holiday Reception Photos click here. See more of the Love To Give Collection click here.